Alexandria offers a wide variety of restaurants, cafes, grills and other dining venues, from small local eateries to national chain restaurants. 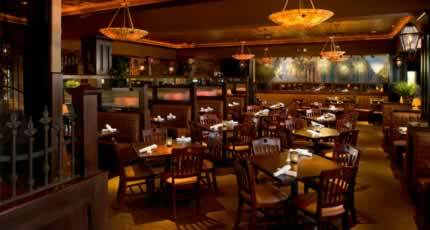 Cuisine choices include traditional American fare, Mexican, Italian, Bar-B-Que, hamburgers, seafood, Asian, and more. 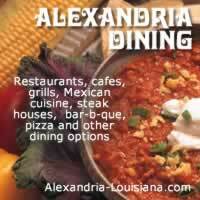 Enjoy our reviews of 125 Alexandria restaurants, and 48 restaurants in neighboring Pineville. Many national restaurants operate in the Alexandria-Pineville area, such as Outback, Chili's, Texas Roadhouse, Cracker Barrel, Copelands, Raising Cane's, Chick-fil-A, Taco Bueno, McAlister's Deli, Buffalo Wild Wings, Applebee's and others. 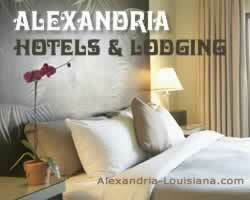 Plus, don't miss the many local dining options around Alexandria, like Tunk's Cypress Inn, Outlaws Barbecue, The Diamond Grill, Lou and Laura's, the Mirror Room at the Bentley, and Cajun Landing.